In order to support members of the community to improve food security in their households, the Province of the Anglican Church of Burundi has introduced a new approach in communities facing challenges by way of a solidarity chain relating to agricultural activities. 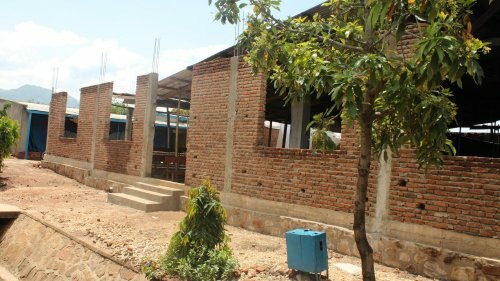 Some localities in Rumonge and Makamba areas are experiencing soil degradation and people living in those localities pass through hard times with insufficient food and malnutrition. For a population living mainly from agriculture, that situation causes many families to live with food insecurity. Communities are now exploring new initiatives based on new farming techniques and improved seeds resistant to climate changes. 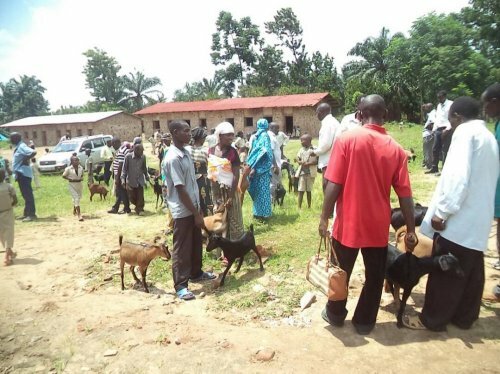 The Province of the Anglican Church of Burundi has supported 350 families in tackling soil infertility by distributing goats to communities through a solidarity chain approach. The approach will enable people to get manure as most of them still find it difficult to afford fertilizers. Three years ago, the congregation of Cibitoke was badly affected by the political crisis that broke out in Burundi mainly in the capital Bujumbura. Cibitoke was among the localities most affected. Many people fled, others moved to more secure places. Throughout that time, the Parish continued to serve the community through prayer and social activities that helped to maintain social cohesion and to give comfort to those who were in need. During a short visit to that Parish two years ago the Archbishop of Canterbury encouraged members of the parish to keep praying and trusting in the God who is able to change situations. Christian solidarity during that hard time enabled church growth spiritually and numerically such that the congregation started an ambitious project to build a new church. “We are aware that much effort is required for that project but we hold the key for success; all of us working together in unity will bring this project to a good result”, said the leaders of the Parish. The Parish has encouraged Christians to initiate activities for sustainable relief. Some of them have invested in agriculture and others in commercial activities. With a motto of “We can achieve unusual things when we are together”, the congregation of Cibitoke has experienced the outcome of their unity as they have served God and their fellow believers.